While “work at home” is a common “hook” for scammers, “this is a work at home position” is more “natural” to the phrasing used in legitimate work ads. 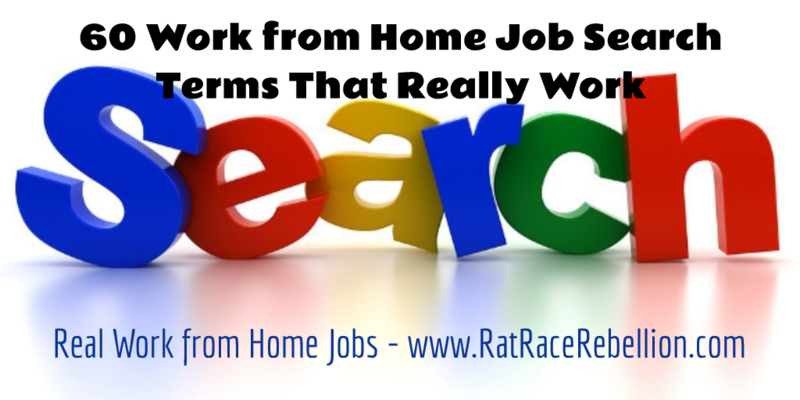 Bottom line, there are fewer legitimate home-based jobs than there are scams, and using the right search terms is a great way to separate the wheat from the chaff. Bear in mind that these good terms will help to weed out the scams, but some will still slip through. Likewise, not all hits on a bad search term are scams. Use your common sense when assessing any job listing. Please respect our intellectual property and the work we’ve done to put this page together for our readers. Feel free to share — we appreciate it — but please don’t copy and post the content of this page on other sites. Simply use our share buttons or include a link to this page if you’d like to share this resource with others. Thank you! This entry was posted in Job Search Information, Work at Home Jobs. Bookmark the permalink.